Thank you for accepting our invitation. We appreciate your presence here as we, the Progressive People’s Party (PPP) recognize that your work is critical to achieving stability and ensuring the transparency and accountability we need in this nation. We have called you here today to present to you our position on the state of local government and decentralisation in Ghana, address the key reforms needed for Ghana to maximize her potential and, accordingly guarantee rapid and sustained development at both the local and national levels. As you are all aware, one of the major policy visions of the PPP is the election of Metropolitan, Municipal and District Chief Executives (MMDCEs). This is a vision we committed to at the founding of our party in the year 2012. And we will do all it takes to constitutionally ensure its passage to make sure it happens. Before we discuss our main topic here this morning, I wish to inform you that the PPP is steadily conducting constituency elections at the constituency level throughout the country. Attention will shift to the regional elections next month. The PPP has remained active and strengthening its presence in the towns and villages across the country. Our party’s representatives can be heard on radio and television making contributions to discussions on national affairs. To them, the party’s leadership sends a big “thank you for the time and the numerous sacrifices” In June, we will turn our attention to the overseas branches of the party. What we are doing here today demonstrates that the PPP remains the alternative waiting and preparing itself to be given the opportunity to deliver great results as a party in power. We believe that our local areas remain underdeveloped mainly because the leaders, the Metropolitan, Municipal and District Chief Executives are selected by one person – the President based mostly on political patronage. Sometimes, not always, the people who become Chief Executives are the ones rejected by the people when they stood election to become Members of Parliament. As a result, they listen to Accra and NOT the people they are put there to serve. What else accounts for the fact that we are still talking about the people electing their own MMDCEs when the first Ghana Poverty Reduction Strategy (GPRS 1) promised to remove all constitutional impediments by the end of 2004? Article 240 (1) of the Constitution says that “Ghana shall have a system of local government which shall, as far as practicable, be decentralized”. It is the same Article 240 that gives authority to Parliament to enact appropriate laws “… to ensure that functions, powers, responsibilities and resources are at all times transferred from the Central Government to local government units in a co-ordinated manner”. But Parliament’s ability to bring about full decentralization is hampered by the Constitution. Therefore, there is the need to amend the 1992 Constitution to remove the offending parts that have become road blocks. Many of us have on numerous occasions called for these sections of the Constitution to be amended. “…Government does not accept the recommendation that Parliament should be empowered to determine specific mechanisms for choosing Metropolitan, Municipal and District Chief Executives. Government does not also accept the recommendation that…Metropolitan Chief Executives should be popularly elected. Government is of the view that in decentralizing in a unitary state, a delicate balance ought to be struck between central control and local autonomy. Consequently, Government is of the view that article 243 (1) of the Constitution should be amended for the President to nominate a minimum of five persons who would be vetted by the Public Services Commission for competence after which three nominees would contest in a public election elections. We the Progressives protested against this. Our point was and still remains that if the Constitution were to be amended as stated above, local development would continue to be dictated by Central government in Accra and will therefore not be based on the urgent priorities and needs of the local people. Our local areas we said would consequently continue to be under-developed. Our position remained that Metropolitan, Municipal and District Chief Executives must be elected at the local level by the people so that they, the people and not Accra, will have control on the development agenda of their local areas based on their established priorities. This is the only way to ensure sustainable development at the local level. We have continued to make the point that if the people are smart enough to cast a vote to elect a Assembly Member, a Member of Parliament and a President, they are certainly smart enough to cast a vote to elect their Chief Executive. We urged former President John Dramani Mahama to cement a positive legacy as the one who saw wisdom in staring total power in the face and decided to give a big chunk of it back to the people in order to accelerate development at the local level. Unfortunately, the former President allowed the work done by the Constitutional Commission to go to waste. Nothing was implemented. So what has happened during the present Akufo-Addo administration? To attempt addressing the failure of the local government system, the NPP administration has created 38 new Metropolitan, Municipal and Districts, to bring the number of Districts from 216 to 254. This means 254 Chief Executives and thousands of Assembly Members appointed by virtue of political association who quite often disregard he development needs of the people in favour of political objectives. An unfortunate development on the local government front is the allocation of 20.6 Million Ghana Cedis to Members of Parliament to monitor Ghana Education Trust Fund (GETFUND) projects and respond to educational emergencies that may occur. This total figure constitutes 2.3% of 924.8million expected to accrue to GETFUND for the 2018 fiscal year. According to a formula recently approved by parliament, each MP is expected to receive from this amount an average of 72,000 for 2018. This is in addition to the MPs’ Common Fund which the Chief Executives and MPs routinely fight over to the detriment of the people. Our MPs are happy and busy defending the GETFUND related allocation without addressing the implications for parliament as the weakest link in our governance system in relation to the executive arm of government. Why was this fund not sent directly to the MMDAs? Between the Member of Parliament, and the Monitoring & Evaluation (M&E) Officer at the Assembly, who is more qualified and capable to undertake monitoring and evaluation of development projects at the local level? The PPP finds these developments troubling indeed. We think it is another way for the Executive to preserve their firm grip on the Legislature and local governance. 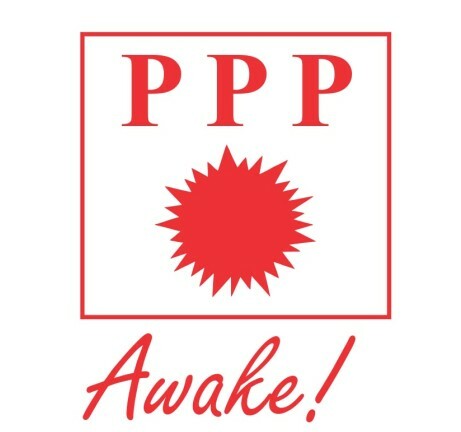 The PPP is demanding that government should stop dancing around these ineffective local government systems and rather take urgent steps to implement reforms that would make our local government effective and efficient in the core areas of development that brings accountability to the doorstep of the people. As I have stated already, one of the major policy visions of the PPP is the election of Metropolitan, Municipal and District Chief Executives (MMDCEs). This is a vision we committed to at the founding of our party in the year 2012. What we are doing is part of our program to ensure that his happens. When it happens, it will remove the democratic deficit in the operation of the 1992 constitution, give power back to the people, allow local government authorities to focus on local issues, guarantee accountability at the local government levels, and trigger the race to growth and development among the MMDAs nation-wide. Ultimately, the race would see the districts that represent the basic units of development, competing effectively and efficiently to progress simultaneously. Again, these reforms, when implemented, would take away the President’s powers of appointment of the MMDCEs. The Executive’s control and influence in the districts would decrease as the local government officials, especially the MMDCEs would no longer be answerable directly to the President but to the people. If the people are satisfied with their work, they will be re-elected. If not, they would be ousted through the ballot box. We must also remind everyone that throughout the world, mayors or chief executives re more often than not elected directly by the people. London, Washington, DC, and right here in Africa, Johannesburg, Abidjan and Dakar among others elect their mayors. Some people may wonder why we are talking “plenty” about this when the Akufo-Addo Administration says it is going change the Constitution to enable the election of MMDCEs. What’s our worry? Where we differ with the NPP: We want the election of the MMDCEs now, not later. The policy to elect MMDCEs which has been a PPP policy since the party was formed in 2012, found its way into the New Patriotic Party (NPP’s) 2016 manifesto. There is nothing wrong with changing your mind when presented with superior facts as the PPP and progressives had done for years. But it created “credibility and believability” issues. The NPP had promised to implement the policy but failed to make it happen when they won the 2000 elections and governed the country between 2001 and 2008. The NPP, again in its 2016 manifesto promised to “oversee the direct election of Metropolitan, Municipal and District Chief Executives (MMDCEs) within 24 months of election into office, to coincide with the next District Assembly elections in 2019.” It is obvious that per the schedule recently released by government that election of MMDCEs will not happen until well after the 2020 elections. In July 2017, the President assured the nation at the orientation for newly appointed MMDCEs that the elections would take place as promised, insisting that they would be the last batch of MMDCEs to be appointed. But not long after that, and in a spectacular “U” turn, a Deputy Local Government Minister, Honourable O.B. Amoah, gave reasons why Ghanaians must not expect the election of MMDCEs in 2018 or 2019, contrary to what the President had said. So we are asking the current NPP administration to stay the course and muster the political will to undertake this all important reform of election of MMDCEs. We understand that there are some people in that party’s leadership who don’t want to give up what they consider to be their party’s hold on local government so they can use it to win elections. To those people, we ask, your party lost the 2008 elections, the NDC lost the 2000 and 2016 elections even though they controlled the local governments across the country. The Deputy Minister’s revelation was anchored on a supposed challenge posed by Article 55 (3) of the 1992 constitution – “Subject to the provisions of this article, a political party is free to participate in shaping the political will of the people, to disseminate information on political ideas, social and economic programmes of a national character, and sponsor candidates for elections to any public office other than to District Assemblies or lower local government units.” This is an entrenched provision that requires a referendum to amend to pave way for political parties to sponsor candidates for local government elections. But this fact is not new. The NPP a party with many lawyers has known this. So if they wanted to go this route, the process of change should have started right away when power was handed to them by the people. The option still remains to go the non-referendum way without touching the political affiliation revision as a first step to get the MMDCEs elected directly by the people. We have observed that if care is not taken, this important policy may become labeled as a purely NPP matter. We are here to declare that this is real, national interest policy. The Minister of Local Government and her deputies must involve us, the PPP and others as important stakeholders in all the public events on this subject we have been reading and hearing about in the media. We want the election of MMDCEs to happen and we want to state our case to the public directly why we support this government policy. At the same time, we want the opportunity to inform the nation why this policy must be implemented sooner rather than later.. Accordingly, we are asking our party members to attend all public events organized on the topic of the election of MMDCEs everywhere in country and make our position clear to the people. We are also asking government to make available to us the schedule for these events. This time around, we do not want government to say one thing and turn around and do something different. And we want everyone to note that the election of MMDCEs WILL be an important campaign topic in 2020. We take President Akufo-Addo at his word that he is really in a hurry to develop the country as he says often. If he wants the development to happen quickly, then the election of MMDCEs must become one of his top priority items. Article 55 (3) must not be used as a delay tactic as many are afraid of now. Our leaders must make the election of MMDCEs happen even if it will take away some of their powers. A great leader is one who envisions what is good for his country and its people and does it even if it does not sit well with the leadersit as his followers’ personal wishes. We in the PPP believe that election of MMDCEs would be a powerful, positive game changer for Ghana’s development. And as we declared at the 4th National Convention of the Progressive People’s Party (PPP) held from the 20th to 21st of October 2017, in the Bolgatanga consensus, our party shall “continue to promote the election of MMDCEs as the most important governance reform needed for Ghana’s democratic and economic development, and demand that it is made a top priority in the nation’s governance agenda”.